Congratulations to the ESC Basketball Team for their 46 - 23 win over Reigate College! Great performances from all, with Film & TV Level 3 student Savvik named as Man of the Match! James Gottshalk, Wellbeing & Enrichment Co-ordinator, said he was "impressed with both your performance and attitude. Thank you all for your contribution and the fantastic sportsmanship you showed in victory!" 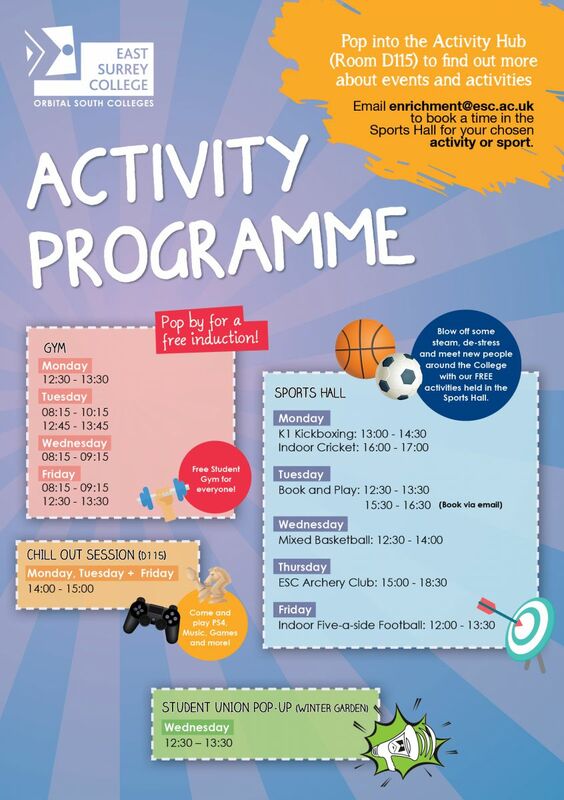 Take a look at the Enrichment activities on offer at College here.